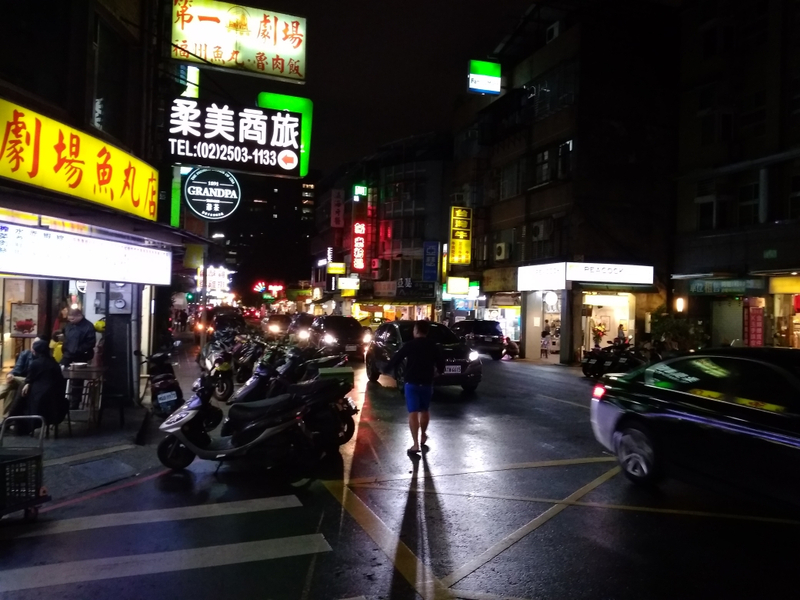 Dougal is just back from the 2018 Taipei Show, where the manufacturers and OEM suppliers meet face to face with clients to push out upcoming product and break down the communication barrier that is email. This year we can confirm the Taiwanese like to eat, drink and be merry as much as we do. Hayes Manitou have lots of very new and cool stuff coming, most of which we cannot tell you about until release dates. Dougal did however get his hands on the new 37 mm Manitou fork, and it's huge. Basically it's a single crown fork that can do everything the Dorado does. We'll keep you informed as we're allowed to. The Hayes big news was the acquisition of Reynolds carbon wheels. This is a huge gap filler for Sun Ringle beside their existing aluminium wheels. Reynolds supply carbon wheels to teams like Pivot Cycles and have licensed the new Shimano XTR 12 sp fine spline free-hub bodies. We're in full peak season mode, running at full capacity and maximum efficiency. But it will take us about 2 weeks to turn around normal fork and shock service jobs. 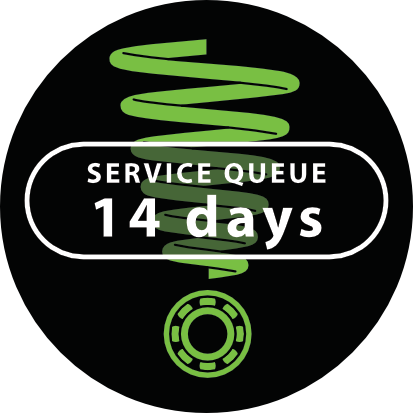 Service happens in the order of arrival - i.e. first here first serviced. 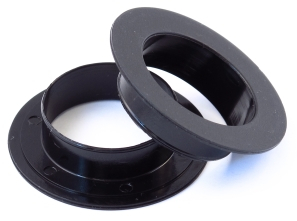 Bearing caps for our Monocrome External and Screw-Fit 41mm bottom brackets are now available in two flavours. Standard fits most new Shimano and SRAM GXP cranks. Tight has a slightly smaller ID to better fit crank axles on the small side of tolerance or those worn down a bit. You can now choose at time of order. If you have a problem with your existing BB, call us and we'll send out a set. Ralf H from Wellington is building up a brand new ripper of a Banshee Spitfire. 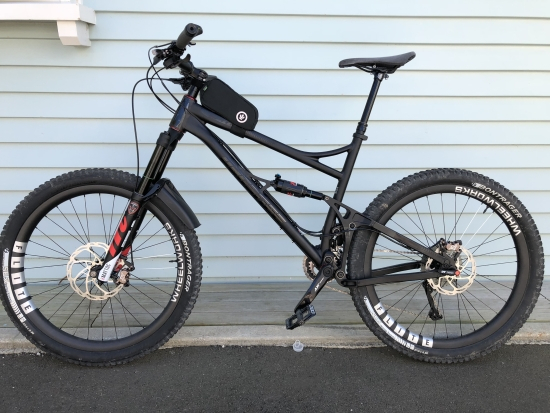 It has Hayes Dominion disc brakes, Manitou Mattoc Pro Boost forks (2019 version here), Manitou McLeod rear shock, Manitou Jack Seatpost, Answer 20/20 bars, Wheelworks carbon wheels and XT 2x drivetrain. You know it's a real mountainbike when it has a front derailleur! Our newsletter subscribers received the above articles direct to their inbox. If you'd like to receive our monthly emails, sign up to our newsletter here.